Love Lettering in the North! | Love Lettering in the North! 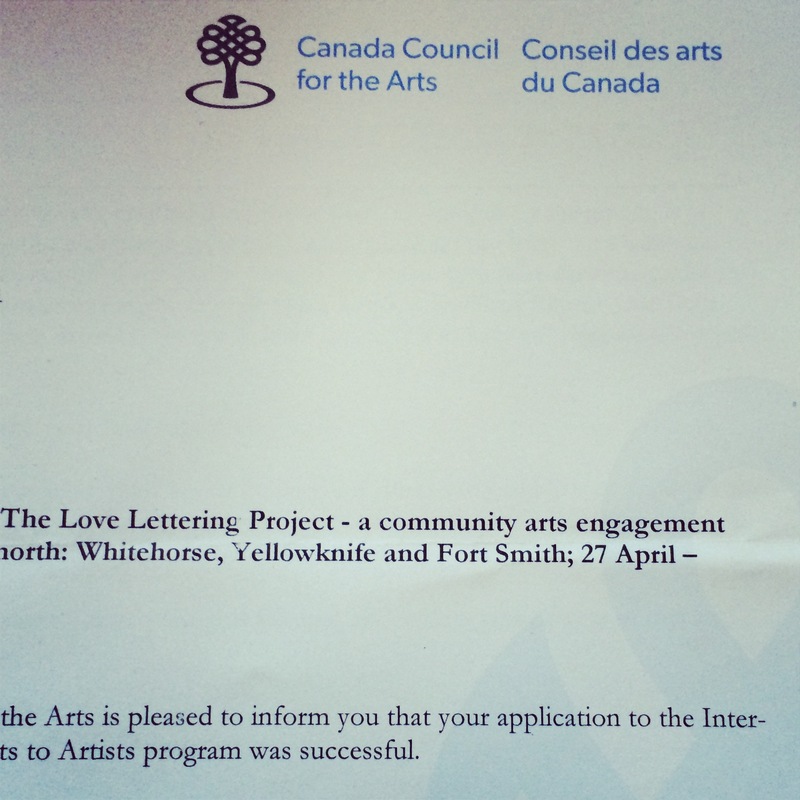 I’m not sure I could be any more excited…The Love Lettering Project is partnering with DreamCatcher Mentoring, with funding from the Canada Council for the Arts, for a three-city tour of the North in May! Whitehorse, Yellowknife and Fort Smith, here I come!